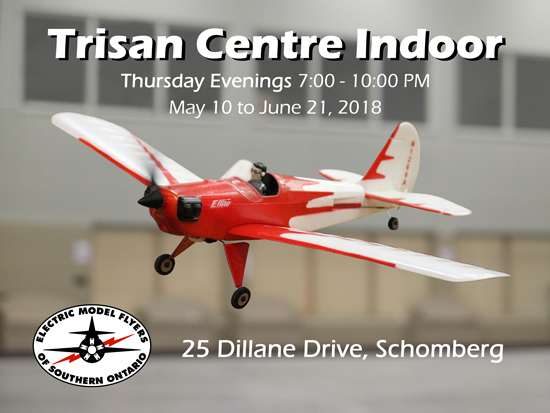 The first session of Trisan Centre Indoor is Thursday May 10, 2018 7:00 - 10:00 pm. is $4.50 per 3 hour session. Parking is free and flying takes place in the curling rink. Trisan Centre Indoor is rescheduled to Wednesday May 30th 7:00 - 10:00 PM this week.